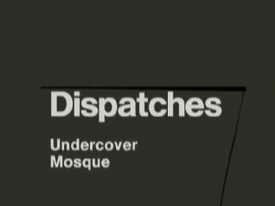 Channel 4's Dispatches editor Kevin Sutcliffe and the programme makers behind Undercover Mosque are pursuing a libel claim against West Midlands Police and the Crown Prosecution Service. The documentary makers were cleared last November by media regulator Ofcom of allegations of misleadingly editing the Channel 4 programme about extreme Islamic preachers. Undercover Mosque aired in January last year and featured footage filmed undercover in several mosques in the Midlands. The documentary featured footage of preachers calling for homosexuals to be killed, espousing male supremacy, condemning non-Muslims and predicting jihad. Channel 4 announced today that Sutcliffe, and production company Hardcash Productions, have now initiated libel proceedings: The statements made by both the West Midlands Police and the CPS were completely unfounded and seriously damaging to the reputation of the programme makers. The broadcaster also released a statement on behalf of co-claimants - David Henshaw, Andrew Smith and John Moratiel - from Hardcash Production: The statements made by both the West Midlands Police and the CPS were completely unfounded and seriously damaging to our reputation. We feel the only way to set the record straight once and for all is to pursue this matter through a libel action. In August last year West Midlands police complained to regulator Ofcom about the editing of the Dispatches documentary. But Ofcom said the programme was a legitimate investigation uncovering matters of important public interest in a subsequent ruling in November. The regulator also said there was No evidence that [Channel 4] had misled the audience and the broadcaster had accurately represented the material and dealt with the subject matter responsibly and in context. Channel 4 said any payment of damages will go to charity. Ummm... I wonder what will happen to Anil Patani, the Assistant Chief Constable who reported the programme to Ofcom. He was in charge of "security & cohesion" in the West Midlands force. He said he was worried that those featured in the programme had been misrepresented. The Crown Prosecution Service and West Midlands Police will apologise in the High Court today for wrongly accusing a Channel 4 film of faking an exposé of Islamic extremism. The programme, screened last January, showed footage gathered at a number of mosques in the West Midlands using hidden cameras. It included one preacher who praised the Taleban for killing British soldiers. Another, Abu Usamah, a preacher at the Green Lane mosque in Birmingham, was filmed saying: If I were to call homosexuals perverted, dirty, filthy dogs who should be murdered, that is my freedom of speech isn't it? However, instead of pursuing a prosecution of the preachers, police and the CPS began an investigation into the producers, accusing them of selective editing and distortion. The film-makers were accused of undermining community relations. The police took the highly unusual step of referring Dispatches to Ofcom, the media watchdog. Ofcom threw out the complaint. It found that the programme had accurately represented the material it had gathered and dealt with the subject matter responsibly and in context. It was a legitimate investigation, uncovering matters of important public interest. Each quote was justified by the narrative of the programme and put fully in context. Hardcash Productions, which made the film, joined Channel 4 in a libel complaint against the police and CPS over the “distortion” claim. West Midlands Police and CPS will apologise unreservedly for comments that they accept were incorrect and unjustified. They said that there was no evidence that the broadcaster or programme-makers had misled the audience or that the programme was likely to encourage or incite criminal activity”. Kevin Sutcliffe, deputy head of current affairs at Channel 4, said: This is a total vindication of the programme team. Back in August 2007 I wrote a defence of the Undercover Mosque programme and, among many reasonable responses, I came in for the now obligatory charges of Islamophobia, neocon activism and, of course, racism. This kind of thing is standard these days if you state your opposition to the idea that hitting 10-year-old girls is reasonable, that women are lesser beings then men, that killing homosexuals is wrong, that killing apostates is unacceptable, and that all Muslims supposedly hate the kuffar. All of those views were propagated by the preachers who were recorded in Undercover Mosque, a diligent documentary made in difficult circumstances. And yet the West Midlands police not only attempted to prosecute the filmmakers but also, having failed in that absurd endeavour, reported the documentary to Ofcom. So what made the police spout bollox about Undercover Mosque? The most charitable interpretation of the reaction of Anil Patani, the Assistant Chief Constable of West Midlands Police, to the Channel 4 documentary Undercover Mosque is that he was in a state of deep denial. s reaction? To refer the programme makers to the Crown Prosecution Service for inciting racial hatred. s press release claimed that those featured in the programme had been misrepresented and that it had undermined community cohesion. Those claims were blatantly false, as the Ofcom investigation itself made crystal clear. But why on earth did Mr Patani make them? The National Secular Society invite you to write to your MP and suggest signing Roger Godsiff's Early Day Motion (no. 1586) which criticises West Midlands Police for its behaviour over the Channel 4 Undercover Mosque programme. The matter is one of immense public importance going to the very heart of the Justice system. That this House welcomes the unreserved public apology given by the West Midlands Police and the Crown Prosecution Service and the six figure libel settlement paid by them to Channel 4 over the Dispatches programme broadcast on 15th January 2007 which contained covert filming inside mosques in Birmingham and Derby; notes that the comments and allegations made by West Midlands Police and the Crown Prosecution Service had already been dismissed by the industry regulator, Ofcom; further notes that the individuals shown in the programme broadcast were using highly derogatory and racist language against a variety of non-Muslim groups which included Christians, Jews, homosexuals, lesbians and women and were in clear breach of existing legislation in respect of incitement to religious and racial hatred; calls on the Home Secretary to launch an immediate investigation into why the West Midlands Police and the Crown Prosecution Service chose to attack the programme makers at Channel 4 rather than investigating and prosecuting the individuals who were shown in the programme; and asserts that incitement to religious and racial hatred has no place in British society. So what's it like to go from being Britain's top Islamophobe ( Dispatches' Undercover Mosque ) to Britain's top antisemite ( Dispatches' Inside Britain's Israel Lobby )? Well, it's a remarkably easy, not to say facile, ride – as the tide of smears and abuse over the past seven days has shown. The question is: what does that tell us about the current state of television journalism, and the maturity, rationality, and objectivity of the response? No doubt Channel 4 are well aware that they will be challenged, and they will have extensive backup to their claims. Just like previous times. An Islamic school in Birmingham says it is drafting a complaint to Ofcom in light of a Channel 4 Dispatches show. Lessons in Hatred and Violenc e, aired on Monday evening, showed footage of a preacher at Darul Uloom School with extreme views. Dispatches said it stood by its investigation and that numerous adults had been filmed teaching contempt for other religions. The programme captured a class leader making offensive remarks about Hindus. He ranted that: Disbelievers are the worst creatures . Head teacher Mujahid Aziz said the school had been misrepresented. 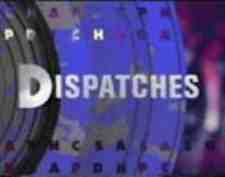 A spokesman for Dispatches, which used a hidden camera installed by a reporter at the school, said its investigation had shown footage of numerous adults, on different occasions, teaching pupils as young as 11 contempt for other religions and for wider society: We stand by our investigation and think the programme speaks for itself . Meanwhile police have arrested a man over alleged assaults on children at aMarkazi Jamia mosque in Keighley, West Yorkshire. The Dispatches documentary filmed what appeared to be a preacher hitting and kicking children during Koran lessons at the school. West Yorkshire Police confirmed they had arrested a 59-year-old man in connection with the incident after viewing the secretly filmed footage. A 59-year-old man has been charged with 10 offences of common assault on children at a mosque, police said. The charges follow a police investigation into allegations of assaults on children made in a Channel 4 documentary broadcast earlier this year. The Dispatches programme, Lessons in Hate and Violence, secretly filmed a man allegedly hitting and kicking children during Qur'an lessons at the Markazi Jamia mosque school in Keighley, West Yorkshire, in December 2010. West Yorkshire police said the man, who was arrested in February, had been released on bail to appear before Keighley magistrates on 2 June. The religious teacher who was caught on a secret camera kicking and slapping children in a Keighley mosque was jailed for 10 weeks. Sabir Hussain admitted four charges of assaulting boys at the Markazi Jamia Mosque, in. Keighley, West Yorkshire, as they learned The Koran. He was arrested after secret filming was screened on a Channel 4 documentary earlier this year. He immediately lodged an appeal against his sentence but an application for bail was rejected.